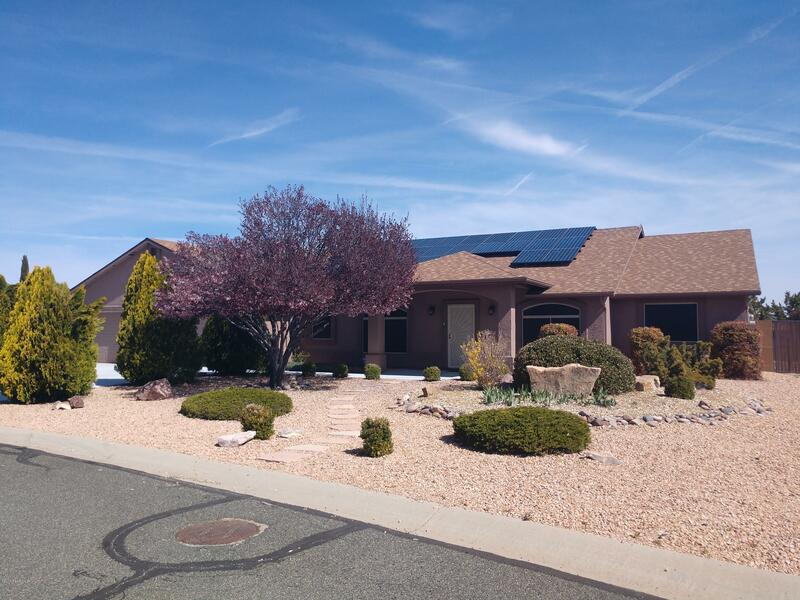 All Viewpoint (Prescott Valle homes currently listed for sale in Prescott Valley as of 04/23/2019 are shown below. You can change the search criteria at any time by pressing the 'Change Search' button below. 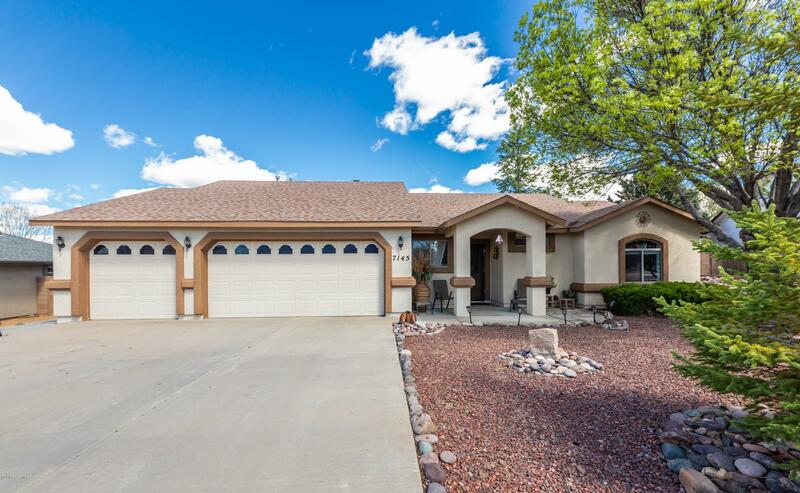 "Beautiful inside and out, well kept home, with a great floor plan, located in quiet neighborhood. 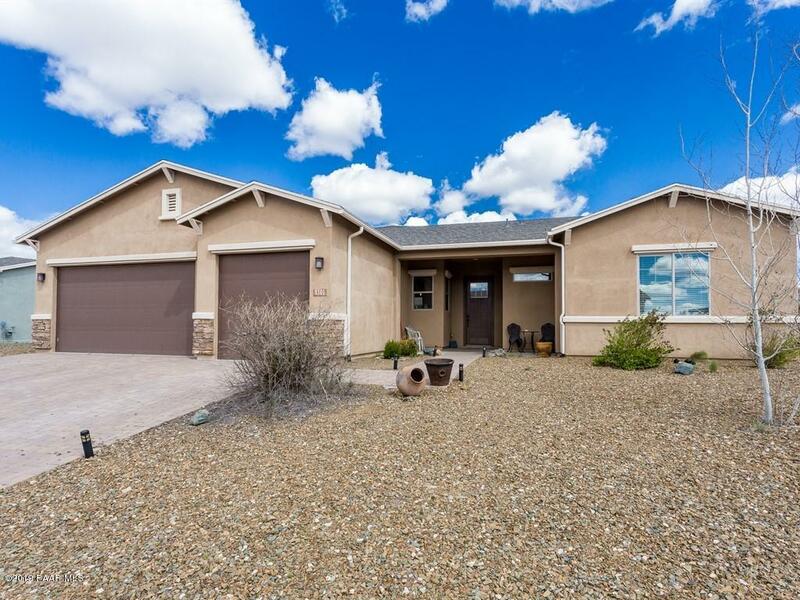 Home has 3 bedroom + a den/office, 2 bathroom, a large kitchen with solid surface counters, an extra large 3-car garage with an epoxy floor and storage cabinets, located on a large lot with mature landscaping, block privacy fence around the back yard & a double gate on the right side with room for you large RV. There's a large covered patio in the back with a large patio extension. Exterior doors ha"
"Just completed! This beautiful upgraded home features plank tile flooring throughout/Carpet in bedrooms, Large great room with gas fireplace. Granite Counters throughout. Open kitchen offers island and large corner pantry, Raised panel custom kitchen cabinets have soft close doors & drawers, Stainless steel appliances including wall oven. Designated laundry room with utility sink, 50 gal water heater with hot water recirculating system. Fans/Lights throughout. Natural gas BBQ stub on back patio." "Awesome 3 bedroom 2 bath + Den/office Harvest Moon plan with a 3 Car Garage and situated on a HUGE Corner Lot!!! 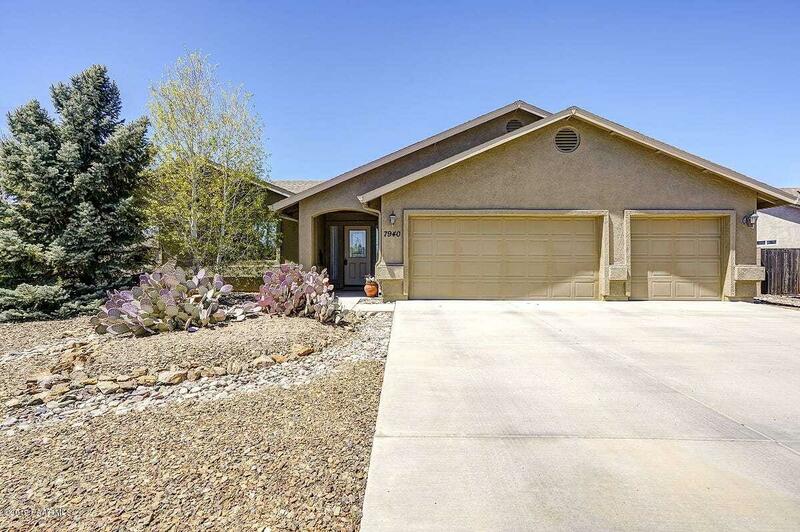 This spacious Home features granite countertops, maple cabinets staggered over range, stainless steel gas appliances, undermount kitchen sink, brushed nickel plumbing and hardware, 8' doors, wall of glass at patio (all low E square windows), corner fireplace with stone floor to ceiling. many upgrades. wood-look ceramic tile and carpet. Raised ceilings. large covered rear patio and gr"
"WOW is it possible to have these views from your Living Room? Enter your home through the open Foyer with beautiful arch ways. This home features 3 bedrooms, plus a Den with built-in bookshelves. Walk your way into a large Living Room with Fireplace. Beautiful open Kitchen with Stainless Steel Appliances, solid surface Countertops and Backsplash. Enjoy your morning coffee on the Covered Patio with Mountain Views. Oversized Premium lot with RV Gate. Don't miss out on this one!" "VIEWS, VIEWS, and more VIEWS! 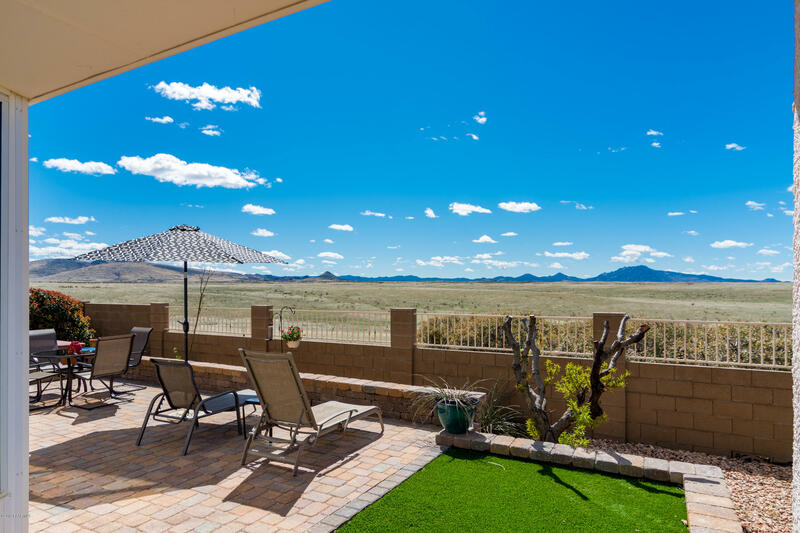 Enjoy 180 degrees of UNOBSTRUCTED views of Glassford Hill, Granite Mountain, and the Northern Mountain Skyline. Gorgeous Viewpoint West home professionally remodeled and designed by an interior design and landscaping team. 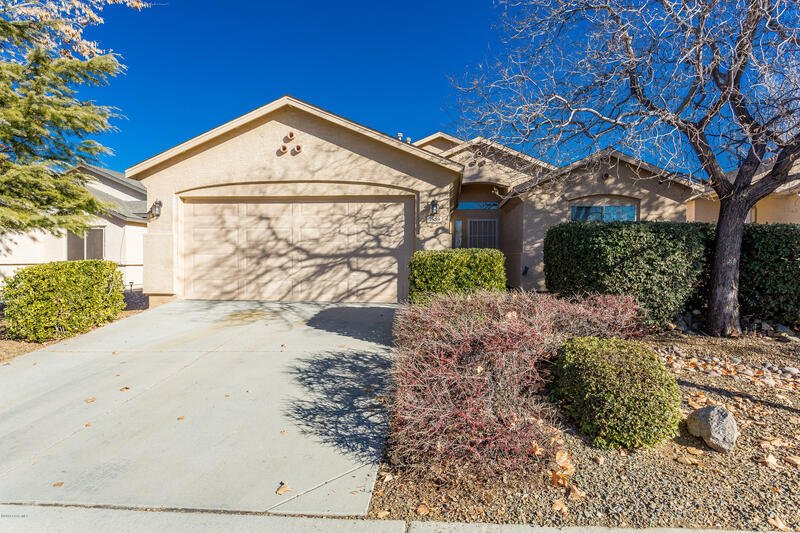 Step into this unique Prescott Valley home where you will enjoy new interior doors, trim, paint, hardware, tile, and laminate flooring. The contemporary chic kitchen boasts SS appliances, granite counter tops, an American walnut butcher block bar,"
"2114 sf home with 4 bdrms + large (9.7x15.5) office right inside front door. 2 full baths. Split floor plan. Open & airy w/vaulted ceilings. Gas heat, fireplace, stove, & water heater. Breakfast bar, pantry, large linen closet, built-in cabinets in garage, storage shed in back yard. Water softener is owned. Beautiful mature landscaping w/drip system in both front & back. Apx 1/4 ac property backing to greenbelt for additional privacy as you relax on your covered patio. 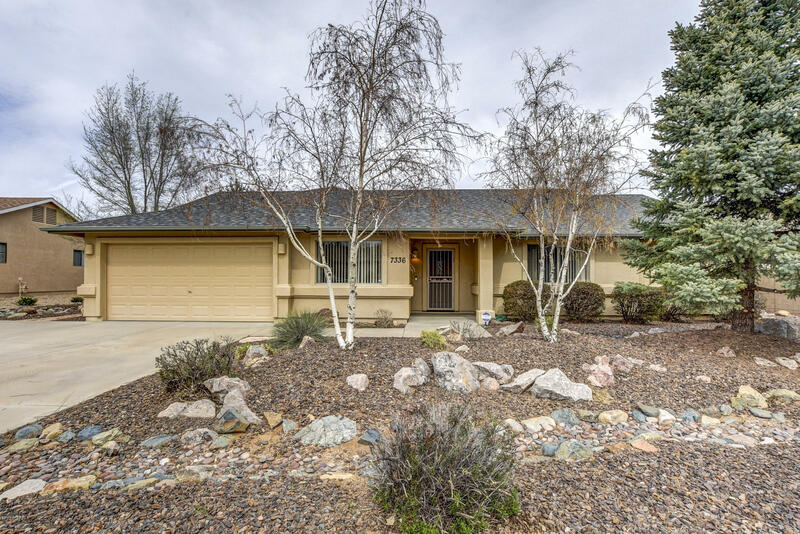 Views of Granite Mounta"
"Beautifully updated home, private backyard, covered/ partially enclosed patio, great for entertaining. Nicely landscaped with fruit trees, and shrubs. 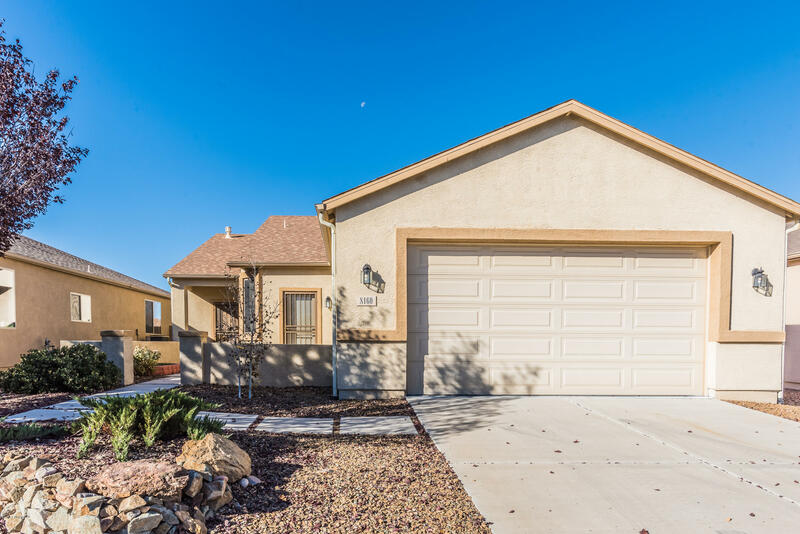 Kitchen has granite counter tops, master bath granite double sinks and granite walk in shower, all new lighting fixtures, new tile, Laminate wood flooring, split floor plan 3 car garage. This home is immaculate and shows pride of ownership, a must see"
"Have a Buyer looking for a Move-in Ready Home showing Pride of Ownership? Then this Open Floorplan Single Level Living Viewpoint home is the one! The Home's Interior features a spacious family room with gas fireplace, instant hot water, high quality vinyl plank 'Allure' waterproof flooring and premium paint in neutral colors. The Owner's Suite has a sitting area, garden tub, combo heater fan & light, step-in shower and walk-in closets. 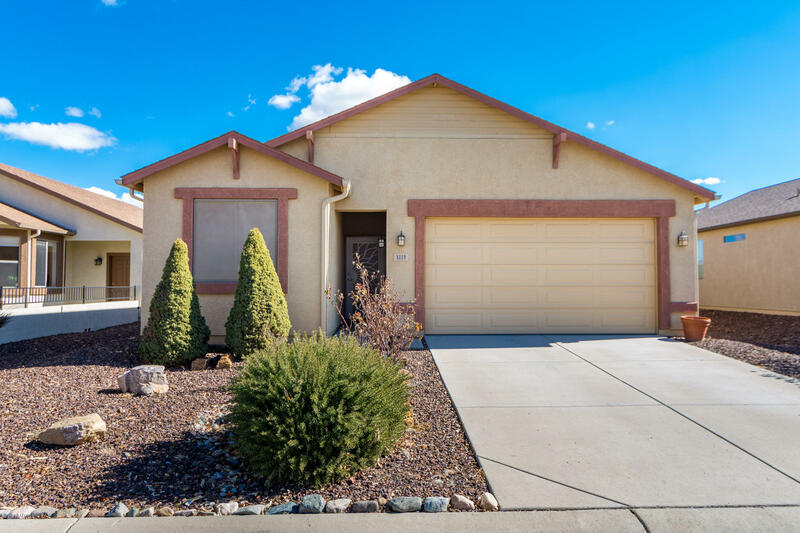 Kitchen features tile flooring, sit-up breakfast bar, built"
"This well maintained 3 bedroom 2 bath home is move-in ready! New interior paint and new flooring. New stainless steel appliances, new kitchen sink and faucet. Close to park and schools. This home cannot be used as a rental according the Viewpoint North"
"A nice Single-Family home in wonderful Viewpoint North subdivision. 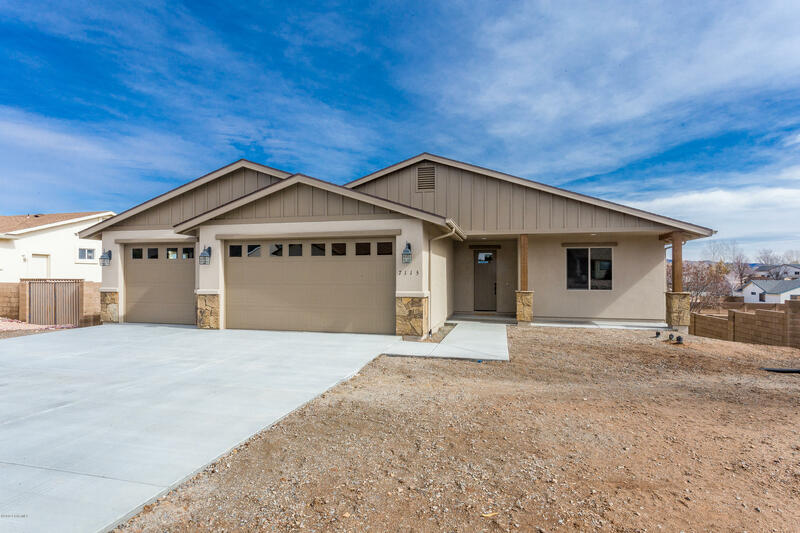 Home highlights an open & spacious split floor-plan with 2 bedrooms plus an office, 2 bathrooms, front courtyard area, and a 2 car garage. Functional kitchen has an abundant amount of oak cabinets with a dining area. Kitchen also opens to a spacious living room with a cozy fireplace. Nice master bedroom and has a 3/4 bathroom, shower, dual vanity and large walk-in closet. 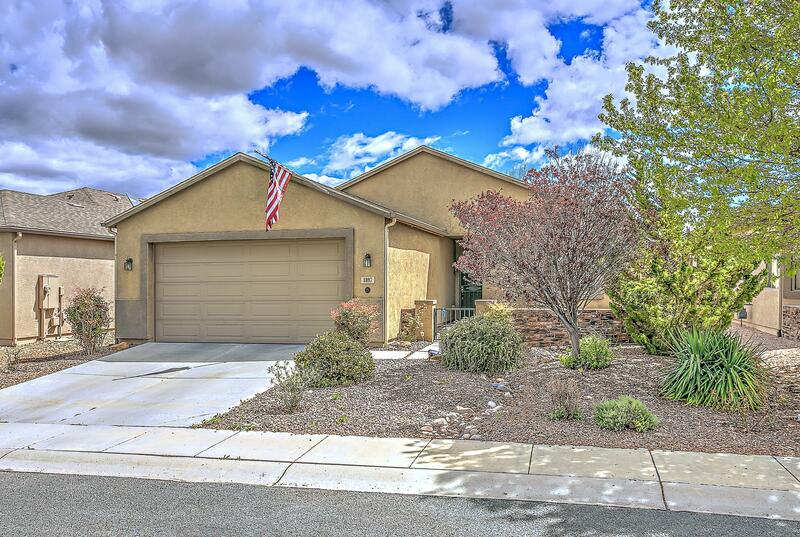 Spacious covered back patio leads to backyard with a pr"
"Turn-key 3 bed/2 bath home in Viewpoint. Offers open concept living and dining area with wood grain laminate floor throughout and tile in wet areas. Low maintenance hardscape with some landscape in front and garden area along with fire pit area out back. This is home is ready to be moved in to."